The death of a patriarch leads to the reunion of a seriously dysfunctional family in Goodbye, Grandpa!, which, despite harrowing weather outside, premiered to a near sold-out crowd in TIFF’s Japanese Cinema Splash section on October 29. 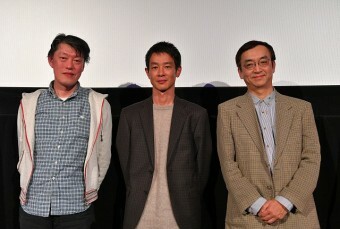 “I was worried because of the rain, so I’m happy to see so many people here today,” said director Yukihiro Morigaki, during stage greetings before and a Q&A following the film. 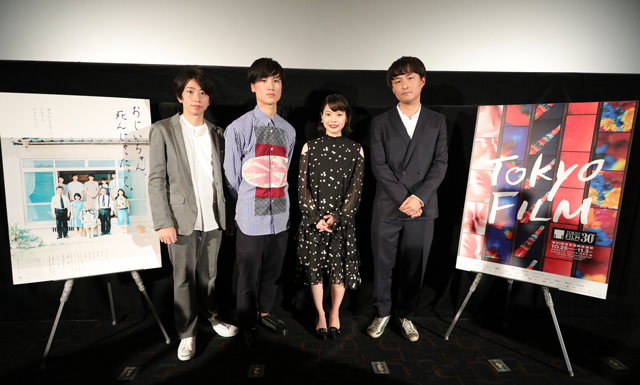 He was joined by actors Yukino Kishii, who plays Yoshiko, the young woman who first receives the call about the titular grandfather; Keita Ikemoto, who plays Yoshiko’s brother; and Takumi Matsuzawa, who plays her boyfriend. As the film progresses from that fateful phone call, it becomes clear a death is just about the only thing that could bring the members of this fractured family together. The process of holding a wake and a funeral, as well as finding a nursing home for the family’s widowed matriarch, reopens old wounds in brutally awkward — and often hilarious — fashion. Goodbye, Grandpa! 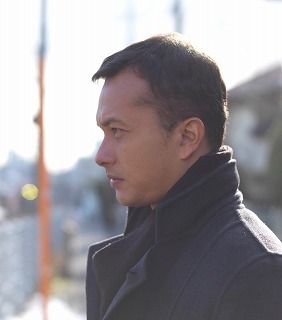 is the first feature film from Morigaki, known for his work directing award-winning commercials. 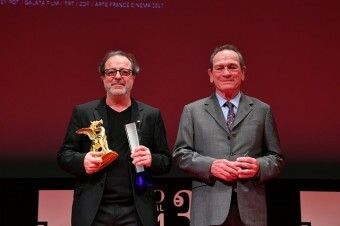 Commercials are over in a matter of seconds, but “with movies, we lock you in a room and take up two hours of your time, so there’s a lot of pressure,” admitted the director, who went on to say that he knew he wanted to make this story his debut feature since first reading the original work by novelist and screenwriter Sahoko Yamasaki four years ago. 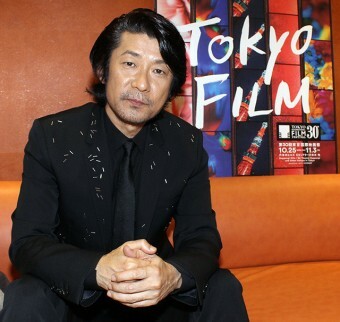 Kishii also stressed the universal theme of the film, noting that family struggles are part of everyone’s lives. Aside from the three young actors on stage, the cast of Goodbye, Grandpa! includes veterans of the industry like Ryo Iwamatsu, Jun Miho and Ken Mitsuishi. Goodbye, Grandpa! took the cast and crew to Hitoyoshi, a town in Japan’s southern Kumamoto Prefecture, where they spent several weeks shooting the film. 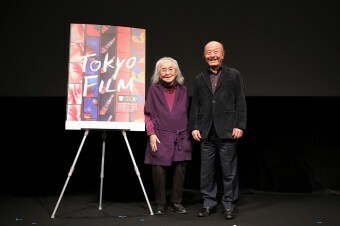 Ikemoto explained to the audience that the time away from Tokyo allowed him to form a special bond with director Morigaki.